Like my mum, I am obsessed when it comes to fragrances. Not quite like her actually, I take it back. She has way too many! A whole cupboard full, some not even opened yet because she can't bare to use them until another bottle is finished. It is quite funny, bless her. Anyway, this post as you have already seen is a selected few of my favourite fragrances. I won't go into detail as to why each fragrance is my favourite, it is SO hard to describe a scent, am I right? 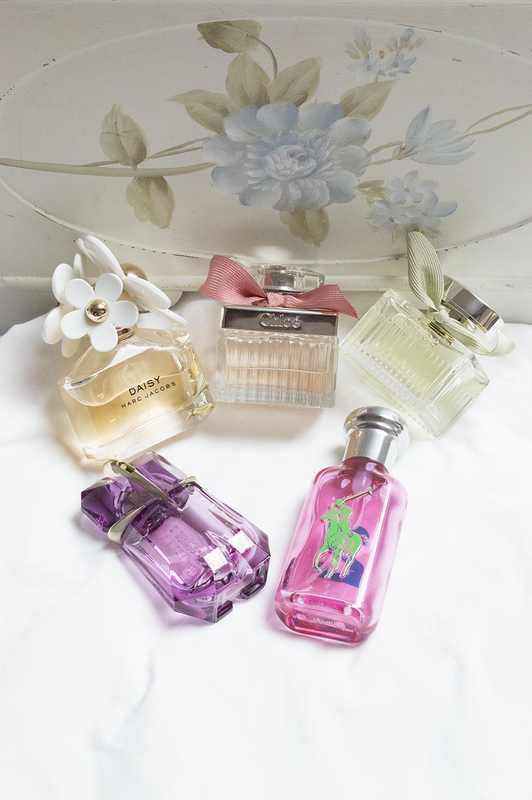 However these fragrance are strictly my favourite purely because I love pretty smelling scents. They remind me of the summer, they have a fruity scent to them also, which is something I always make sure a fragrance has. I also fall in love with the bottles!